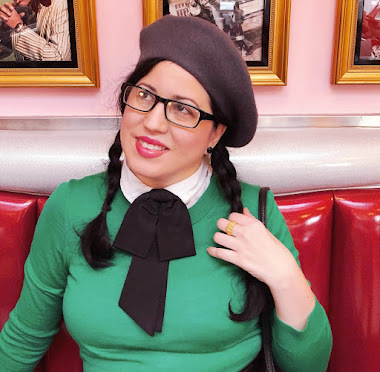 Home YouTube Videos Celebrating My 39th Birthday! Yay! I cannot believe I am 39! Whoot! Here I go on this amazing adventure and my 39 New Experiences Before 40 challenge officially begins. I had a such a lovely birthday weekend and I wanted to share a bit of it with you via my latest video on my YouTube channel. Everything that you see in this video I will include closer photos of in my next post tomorrow and also links to where you too can score these items. You may notice that I gifted myself presents for this birthday but on my challenge list I did say I wanted to spoil myself plus why the heck not. Gift yourself and show yourself heaps of self love. What a better way than gifting yourself vintage inspired books and movies and oodles of pretty things? I hope you have been enjoying my YouTube videos. Eventually I will create a schedule for them but at the moment I am just having fun and learning how to do them. If you would like to see something special on one of my videos, let me know. Also feel free to subscribe and spread the vintage word on my YouTube channel! Thank you! 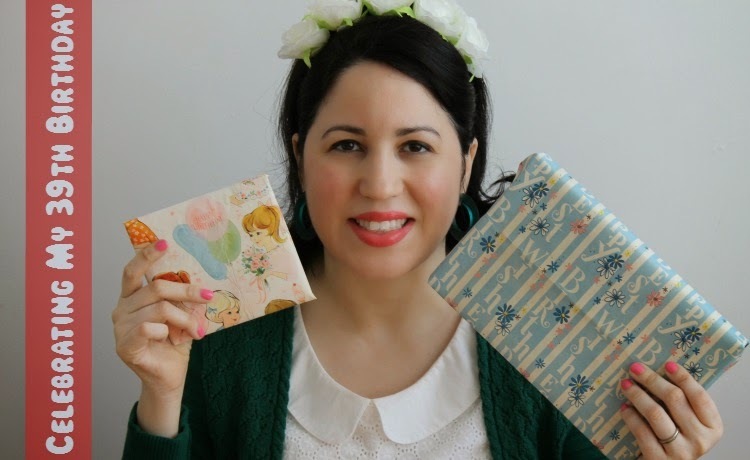 Tune in tomorrow for a closer look at the beautiful vintage wrapping paper I used (and plan to reuse in an art project) and most of my amazing gifts that I received for my birthday. Thank you again to all those who spoiled me and sent me birthday with, you truly made my day extra, extra special! Thoroughly fabulous birthday presents from your loved ones and to yourself, sweet gal. I've wanted to try that foundation for years! Perhaps I'll treat myself on my next birthday (less than six months away - how time flies). *PS* Seeing your darling kids sing to you at the end of the video moved me to no end. Oh, I loved seeing your babies at the end. So cute!